Once the survey is complete, we will give you a written report and quotation so you can make an informed decision about what work needs to be carried out for the repair or installation, including an evaluation on the best type of roof to protect your home if a complete re-install is on the cards. The decision to proceed with repairs rests completely with you. Our knowledgeable staff will be available to advise you and answer your questions or address any concerns you may have—without any sales pressure whatsoever. This is a no obligation process. 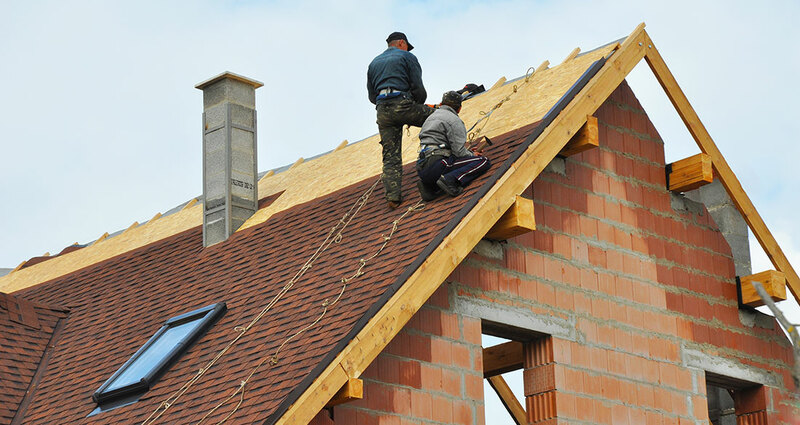 We strictly adhere to the UK safety regulations with any roof installation or repair project. We use specially designed roof access equipment to ensure the safe and efficient repairs or installation of your Roofline products. Before we begin working on your roof, our installation team will carry out a comprehensive site safety assessment to ensure that there are no potential health & safety hazards that could cause a problem whilst working. Next, we will carefully prepare your properties roof, taking care to cover and protect any exposed areas such as your lawn, flower beds, patio, driveway. conservatory or decking using sheets of PVC. We will carefully replace or repair any broken or cracked roof tiles or pointing, and then restore and seal the lead flashing if required. These repairs are included in the total cost of your roofing restoration or renewal project in Somerset, Devon or Bridgwater. Gutters and drains will be completely covered or disconnected to avoid any blockages during and after the roof cleaning process. If we find any indication of asbestos being present, our surveyor will take and send a small sample of the material in question to be analysed in an approved asbestos laboratory. If the material is in fact found to be asbestos insulation board, the next step is to have it removed by a specialist contractor who carries a license with the HSE. Any asbestos waste will then be disposed in full compliance with the Special Waste Regulations in the UK. Without correctly installed ventilation on your new pitched roof, or even flat roof in some cases, your home’s attic can trap warm, moist air which can cause a variety of problems. This air can cause you attic or even internal ceiling wood to rot or warp, meaning that on a hot day, even as the air conditioning is on full blast, the attic is working against it to keep hot air in. At the same time, too much ventilation from the roof area, or ventilation in the wrong areas, will allow too much air to leave the house, making the air conditioning and heating systems far less efficient, and without heating, leaving the house somewhat colder. The process of installing your new roof will be unique to the type of roof you choose. The process is difficult to explain in detail here, but as a rough guide, a pitched roof will almost always take the longest amount of time to install, whereas a fibreglass flat roof will take the shortest amount of time. This does not necessarily mean any difference in quality, as all our roof installations come with a 10 year as standard, and our GRP Fibreglass roofs come with a 25 year guarantee for complete peace of mind. When cleaning your roof, we thoroughly clean the roof tiles to eliminate every trace of moss, lichen, dirt, algae and grime. We use pressure washer water jets that can efficiently strip away even years of buildup. Roof cleaning typically results in vast amounts of waste material, which our crew will clear away and remove from your property using either a skip if required or dumpy bags then taken in their van. We will also ensure that your gutters and down-pipes are free from blockage. If necessary we can also apply a special Fungicide Treatment. We use a fungicidal mixture that penetrates the tile surface and kills moss, fungus, algae and lichen down to the core roots. It also prevents moss re-growth for at least ten years, usually longer. This fungicide has been formulated to destroy only fungus, algae and lichen; it is very safe and even though we will not get any of its residue on your flowers, grass or shrubbery, it will not effect them. Once your roof repair is complete, our crew will clear away all waste materials and ensure that your property in Taunton, Somerset, Devon or Bridgwater is left in pristine condition. We will check gutters and down-pipes, to ensure that they are free from blockage and are completely water tight. Your patios, windows, driveway and paths will be washed down using our pressure washer and swept clean. All debris will be removed from the site and disposed of, so all you are left with is admiration for your beautiful “new” roof. We are proud of all of the roofing services we provide in Taunton, Somerset, Devon & Bridgwater. You can place absolute confidence in our products and services because our work and the roofing products we use are of the highest of quality available on the market. That is why we’re able to provide a full, ten-year guarantee on all our products and services, and up to 25 year guarantees on new GRP Fibreglass roof installations. Contact Your Local Taunton, Somerset, Devon & Bridgwater Roofing Services & Roof Installation Roofing Contractors NOW for a free quote!